Tabebuia Trees are starting to steal the show… again. 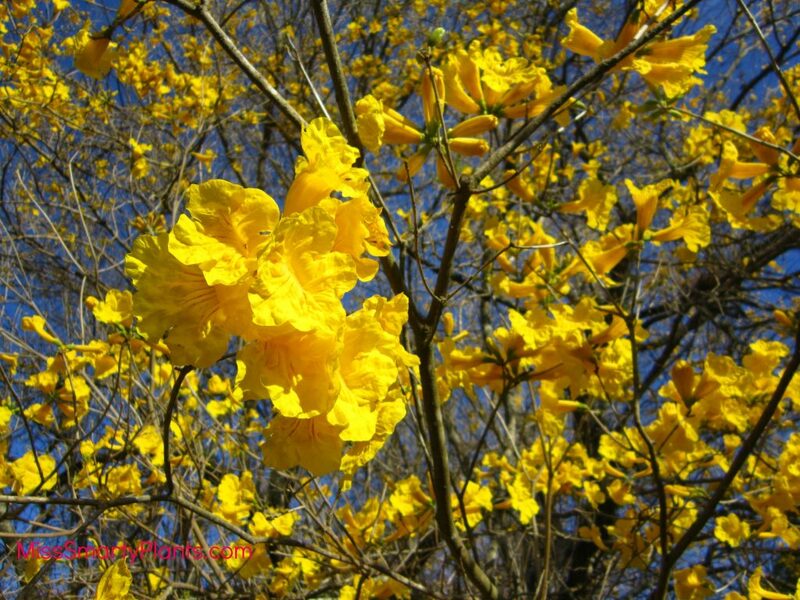 It seems like each March the most commonly asked question is, “What are those yellow flower trees all over town?” Those, my friends, are Golden Trumpet or Tabebuia Trees. Well, maybe that isn’t entirely true. 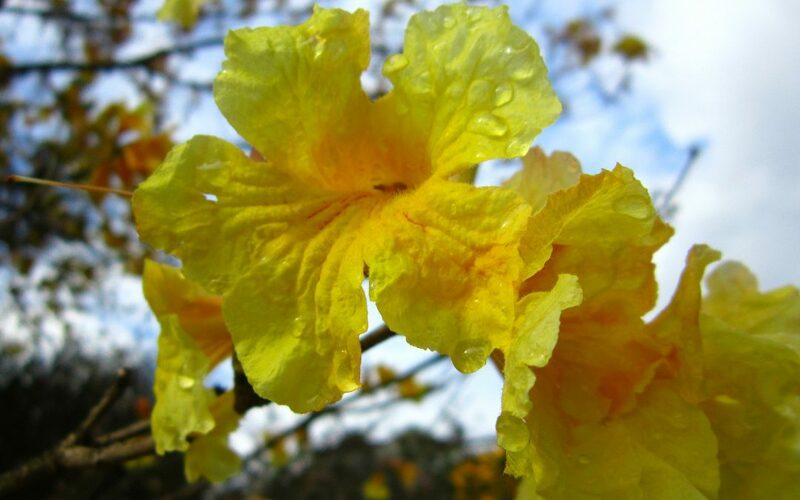 The name “Tabebuia” has now been replaced with “Handroanthus.” Just when people were starting to learn real plant names they went and changed it. This is why people stick with the common names! According to Wikipedia, “the name Handroanthus was established in 1970, but was not generally accepted. 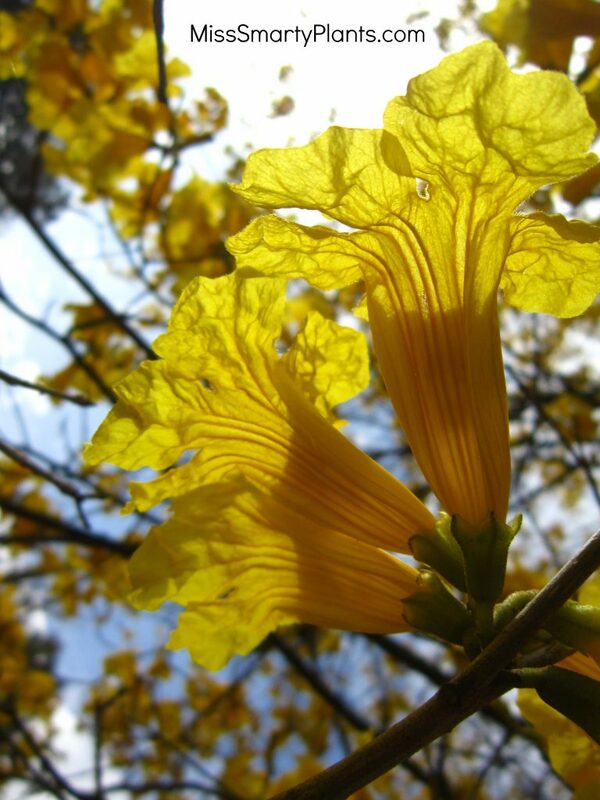 In 1992, its species were included in Tabebuia in the most recent revision of that genus. 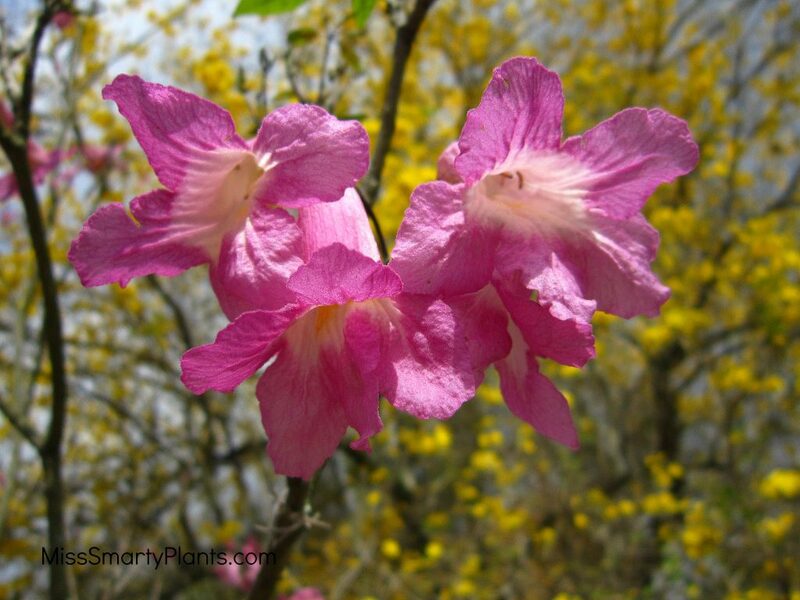 Handroanthus was resurrected in 2007 when a comparison of DNA sequences by cladistic methods showed that Tabebuia, as then circumscribed, was not monophyletic.” Huh. I am sticking with Tabebia. These trees are relatively easy to grow and it seems that everyone wants one when they are flowering. This deciduous tree is native to South and Central America, and has been introduced to the Caribbean islands, United States, Kenya, and India. It grows best in warm and moist climates when in full sun. Sometimes evergreen but most often deciduous, golden trumpet tree has four-inch-long silvery leaves with tan, fuzzy undersides. These leaves drop for a short period in April to May, and it is at this time that the trees put on their heaviest flowering display, the trumpet-shaped, bright yellow blossoms appearing in clusters. Some trees produce a small number of flowers sporadically throughout the warm season. The eight-inch-long seeds which follow are brown, hairy, and persist on the tree through the winter. 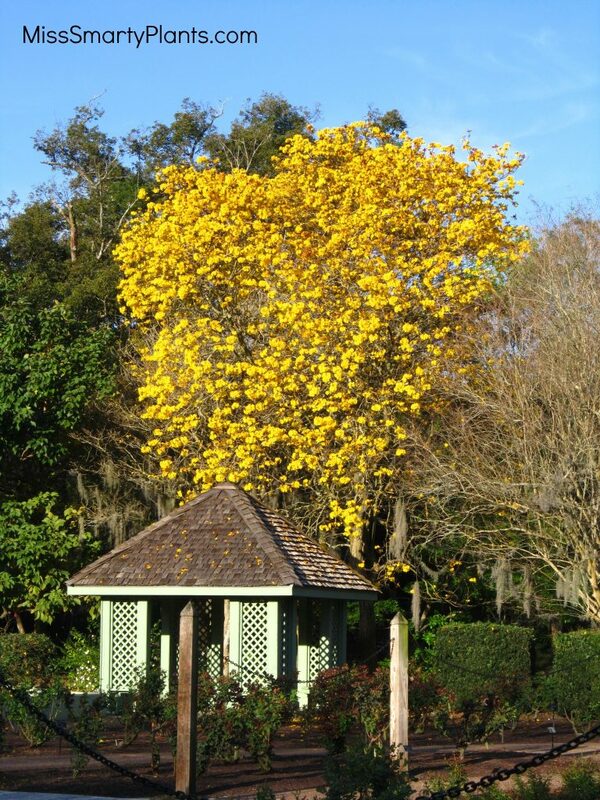 Garden expert and Orlando Sentinel columnist Tom MacCubbin attributes Central Florida’s first tabebuia trees to late Orlando resident and horticulturalist Mulford Foster, who discovered their seeds along a Brazilian railroad in the early 1900s. Also marking tabebuia history 51 years ago was Martin Andersen, former owner, publisher and editor of the Sentinel-Star, now the Orlando Sentinel. He promoted a sale of tabebuia trees, each two or three years old, for $1.50 ($11.30 in today’s dollars) to raise cash for Edgewater High School’s band trip to the World’s Fair in New York. The Sentinel doors opened at 8 a.m. and 2,300 trees sold in an hour. Demand triggered a “mammoth traffic jam for blocks on all sides of the newspaper,” according to a Sentinel-Star account. Nearly 6,000 trees were picked up by early afternoon, a complete sellout. “We could have sold 25,000 trees,” a newspaper vice president, Charles Brumback, said afterward. He became chief executive for Tribune Co. after it bought the Sentinel. The flower show is spectacular, but short lived. Enjoy our few weeks of these spectacular blooms!